Population will be reduced by 254 million (or 78%), plummeting from today’s 318,890,000 to 64,879,100. GDP will be reduced by $16.54 trillion, plummeting from today’s $17.42 trillion to $881.804 billion. Power purchase parity will be reduced by $45,739, plummeting from today’s $54,800 to $9,061. 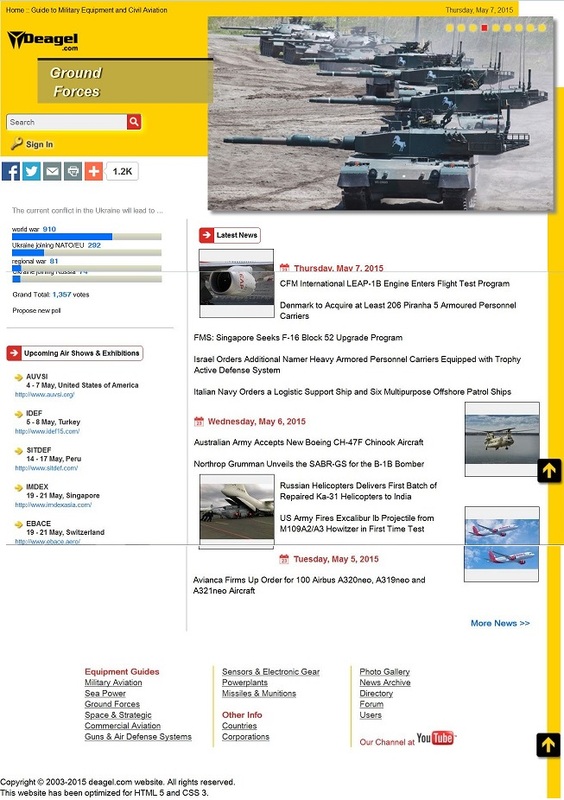 Deagel.com is a military equipment and civil aviation guide website. I have spent time trying to figure out who is behind iit and whether or not it is legitimate – and what the purpose of it is. Certainly it seems legitimate as a catalog of military equipment, the corporations which manufacture the equipment and the Government organizations involved with anything related to the military. Institutions such as the CIA, IMF, UN, and USG (U.S. government). Governments lie. Like the economic lies that communist regimes told their people and the world, present-day governments of seemingly-affluent countries like the United States also generate fake statistics about their economies. The implosion of the U.S. will be triggered by a financial and economic collapse. That, in turn, will result in a massive loss of population from deaths and out-migration. Germany: From 80,990,000 to 48,123,620. Deagle.com’s flawed data: The website itself admits that governments, including the U.S. government, lie about their economic statistics. And yet Deagle.com says “most” of its data come from public information sources that include USG and other governments. Deagle.com’s faux numerical precision: Despite its flawed data, the website manages to make forecasts 10 years into the future with numerical precision of specific population numbers and GDPs in exact dollar amounts. There does not appear to be a discernible logic for the order of countries in Deagle.com’s list of 182 countries in 2025. The countries are arranged neither alphabetically, nor geographically (by region or continent), nor by their fortunes (decline or improvement), nor by the severity of their projected decline. If one assumes that the economic collapse of the U.S. dollar and of the U.S. economy would be the trigger event, that could explain why other western countries (Europe, Canada, Australia, New Zealand) and Japan would also decline. But why would China, whose economy is so dependent on the U.S. market for its exports, be exempt from the predicted precipitous decline, but instead is predicted to have a population increase of 10.72 million and only a slight $466 decrease in its PPP (from $12,900 to $12,566? That makes no sense. Making even less sense is that present-day 4th-world countries like Burkina Faso in Africa is projected to increase its population from 18,360,000 to 18,402,380, and its PPP from $1,700 to $1,841. This entry was posted in Asia, Britain, China, Europe, France, Germany, India, Iran, Japan, Latin America, Pakistan, Philippines, Russia, Taiwan/Republic of China, United States and tagged 2025 forecasts for 182 countries, Deagle.com, Silver Doctors, U.S. depopulation, U.S. economic collapse, U.S. in 2025. Bookmark the permalink. A better one w/less histrionics is Martin Armstrong’s Princeton Economics, where his very savvy brilliant predictions were so on target that the USSA arrested him on trumped charges and put him in federal prison for nine years, just for publishing them. So much for freedom of speech; who needs it w/the Obamination and HildaBeast running our little lives? Thank you, Joseph, for the Armstrong link. You are more than welcome, StMA, as while I only agree w/him on 85% of his thinking [he’s still a ‘hard money’ advocate] and I cannot follow the high levels of math that he uses, I do get his overall reasoning and his stance. And we gotta love someone who was federally imprisoned for his thinking: makes us all warm and cosy knowing that Uncle Joe Stalin is watching out for our weak minds…. How old will you be in 10 years? (assuming you expect to live that long). A military and aviation website, Deagle.com, is generating quite a buzz on the net for its forecast of calamity for America by 2025 — of economic collapse and massive depopulation by as much as 78% (254 million fewer people). While Deagle.com is not the only voice out there predicting a collapse of our economy (our national debt is unsustainable), it is the only one I’ve seen which makes its forecast with actual numbers. But, as the analysis at the end of this post shows, Deagle.com’s numerical precision is dubious and questionable. Veeeery interesting. Is this what is advocated on the Georgia Guidestones? But, if this happens, how will they implement America 2050? Will there be enough people to populate their forecasted “mega-regions?” Perhaps they will be like Agenda 21 high density housing/ghost cities with great swaths of uninhabited land in-between. The mind wobbles. I don’t know what the Dealge brothers are smoking, but their analysis is as full of holes as Obamanomics. For one thing, Ebola is not nearly as contagious as plague and 2/3 of Europe survived that with virtually no medical treatment or sanitary infrastructure. Now if you tell me that 50 million Americans might die or emigrate n 10 years, I might think you has a slim possibility of being right but 250 million? Absurd. And how are all those people going to get from the USA to Asia or Latin America if the economy has collapsed? I want to see how 100 million or so people with no survival skills are going to make it though Central America and the Darian Gap; And there’s not enough bamboo on the US West Coast to make into rafts to take them to Australia.